Does your pet have her own special place to sleep? Many pet owners think that pet beds are an unnecessary luxury and believe that the floor — or even in bed with them — works just as well. However, providing your pet with a bed of her own may be more important than you realize. Instant comfort. Imagine sleeping on the floor every night. Ouch! The same consideration should be given to Fluffy or Fido. The right pet bed can provide better weight distribution and support for your pet's muscles and joints while sleeping. Perfect temperature regulation options for all seasons. Keep in mind that the best bed for the winter might not be the best bed for the hot summer months. Consider a lighter, more breathable bed for your pet during the summer and a snugger, warmer nest for winter. Helps with potential skin problems. For short hair and big dog breeds, rubbing elbow skin against hard surfaces can lead to ulcers. Pet beds provide relief from such pressure when your pooch sleeps and rests. Satisfies picky felines. Cats naturally seek elevated resting places to feel safer. 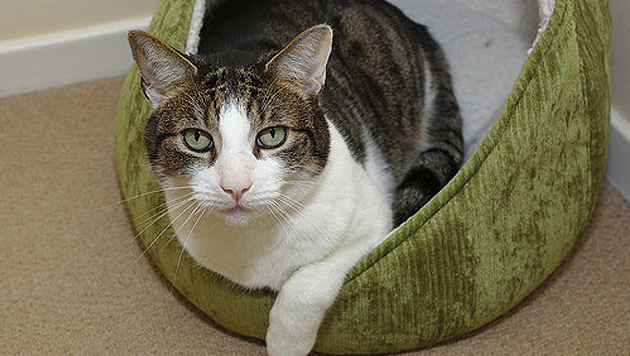 Try placing your cat's bed on a high surface to see if your cat prefers it higher or lower. The beauty of a pet bed is the ability to move it around to your cat's liking. Manages arthritis. Unfortunately, arthritis is an all too common issue for senior dogs and cats. According to recent data, approximately 90% of cats over the age of 12 have arthritis. The right pet bed can provide orthopedic support to take the pressure off of achy joints. An elevated bed may be easier for arthritic pets to get in and out of. A special place. Sometimes pets just like having a special spot they can call their own. It allows them to feel safe and protected and gives them a sense of ownership. There are so many health benefits of pet beds, and providing your furry friend with her own bed will give her a better night's sleep and leave her feeling more rested and happier. Just be prepared to fetch your own paper in the morning — she might not want to get up! For more health and play tips, click here. Content provided by Purina®. To learn more, visit Purina.com.